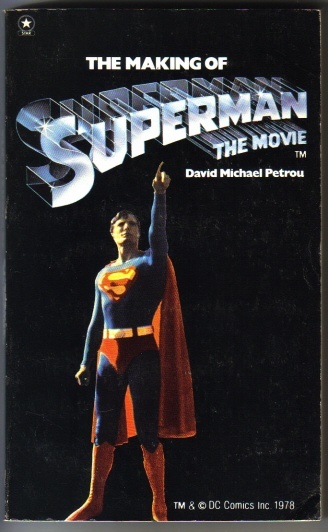 Further selections from the Superman novel back-catalogue include possibly the finest of them all – from top – ‘The Making Of Superman: The Movie‘ by David Michael Petrou is a disarmingly honest account of the largest and most expensive production of its day. Aside from the thorough coverage of everything from casting to Special Effects, Petrou manages also to convey the sheer excitement and magic of bringing the Man of Steel to life. Read it online here at Superman1978. 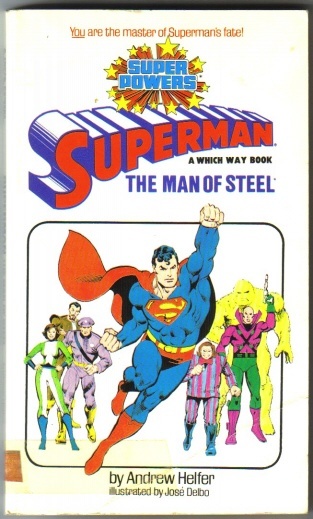 Before its shoe-in as the novelization of Superman: The Movie (offered among the glut of other glossy offerings from Warner Books) Elliot S! 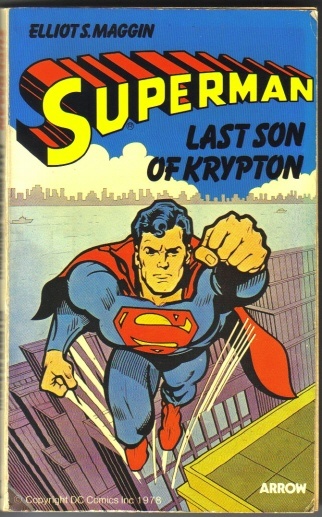 Maggin’s origin story ‘Last Son of Krypton’ was first published by Arrow in 1978. As the events depicted within (although well-executed) bear little resemblance to the final film the comic-book style cover was far more appropriate.